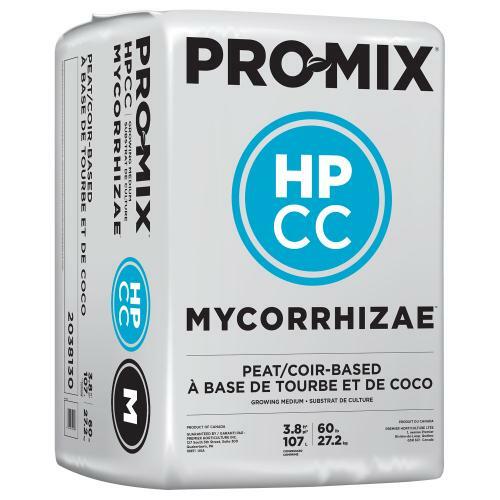 Pro-Mix® HP-CC Mycorrhizae™ is a lightweight, high-porosity peat-based growing medium that contains chunk coir. It ensures optimum growth, especially when high air capacity and extra drainage are required. It is ideal for water-sensitive crops, rooting cuttings and/or low-light growing conditions.